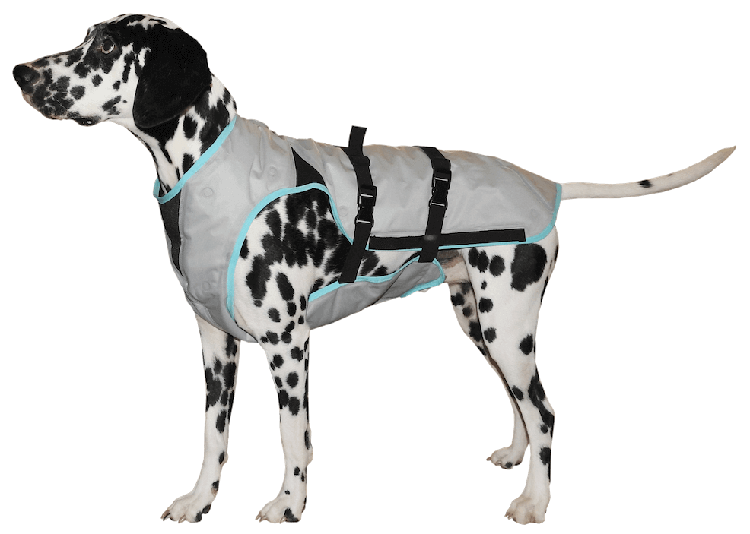 Keep your dog COOL by using this comfortable and easy to refill DRY Cooling Vest. After activating the vest by filling it with fresh water, it will immediately start cooling up to 15°C / 59°F below ambient air temperature for one to three days. Thanks to the patented system, the vest will never become wet or damp during use. The cooling effect is the result of evaporation and is largely dependent on humidity and airflow. So, prevent your dog from developing heat stress! During and after a walk (in the sun), in the car, or whenever cooling is required. This “cooling vest” did not stay cool, even when it’s been in the refrigerator until our dog Billy is “suited up”. It gets warm within 15 minutes outside—75 degrees and plus and sunny. The Hurtta Cooling coats work, and we use them on all our boys (3), Cavalier King Charles spaniels. The Suitical is simply not effective and certainly not an alternative to the Hurttas—and it’s expensive. Q: In the text it states: The cooling effect is the result of evaporation and is largely dependent on humidity and airflow. This leaves the buyer asking, "For this amount of money, what are the tech specs?" Airflow is obvious. What are the ideal humidity levels? Thank you for your interest in the Suitical Dry Cooling Vest. The evaporation that happens and how fast depends on humidity, temperature etc. As the humidity and temperature change day to day the cooling vest will help the dog a great deal. Some days the vest may cool the dog longer than other days when conditions are more harsh. Q: At what humidity does the vest become ineffective at? Specific numbers not just "it varies" please.